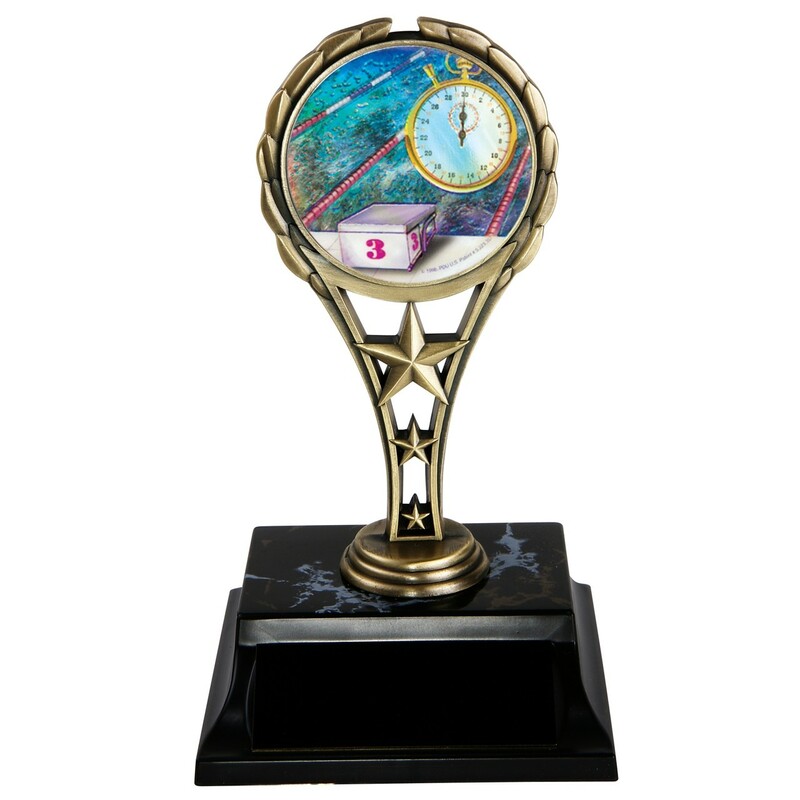 With a colorful image of a pool, starting block and stop watch, this Tri-Star Swim Medley Trophy will be perfect for any swimming event! An antique finish metal top featuring 3 rising stars creates a sturdy 7 inch trophy that is sure to last for years! Add personal engraving to the black brass plate, FREE! Production time for this product is 1 business day(s); expected pickup or shipping date is 04-24-2019.